Designed by you. Made to order. Sold in boxes of 10. 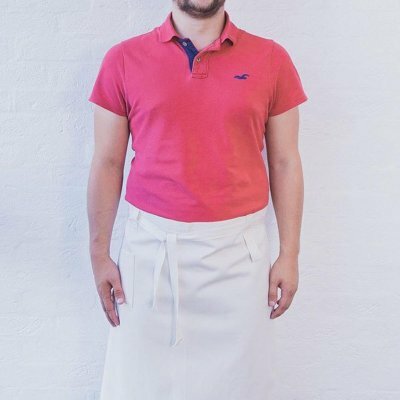 Design your uniform for your front of house, baristas, chefs and crafters. Ideal for cafes, coffee shops and restaurants. Design your merchandise to stock for your customers and fans to buy. Ideal for gift shops, cookery schools and food brands. Choose from the options available and we’ll make to order. See the range of fabrics, colours and customisation we provide. 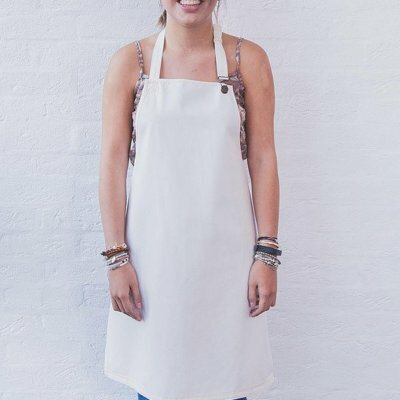 Choose a style and design your own apron from the options available. Sold in boxes of 10. Need help? 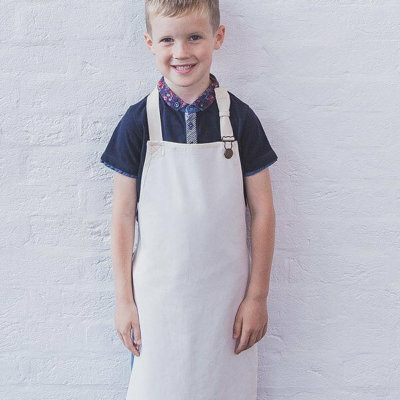 Find your perfect apron. Do you supply smaller box sizes? No, sorry. Our minimum quantity is 10 aprons. What's in a box of 10? 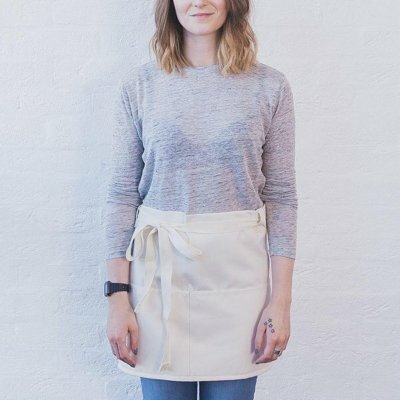 Ten of the same aprons you design, e.g. 10x Barratt or 10x Tricker. Can I mix colours/cuts in the same box? No, sorry. 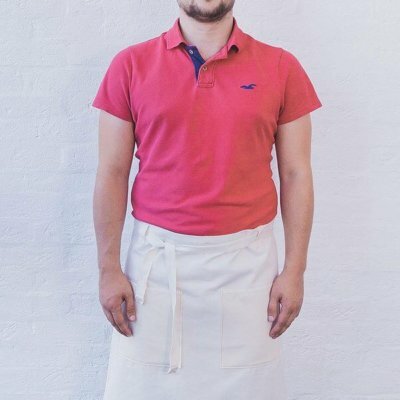 We only supply 10 of the same aprons in one box. Can I change the design of a cut? Not from our custom aprons. Any design modifications are handled through our bespoke service (see below). Do you offer an embroidery service? No, sorry. We used to but we have stopped doing so. 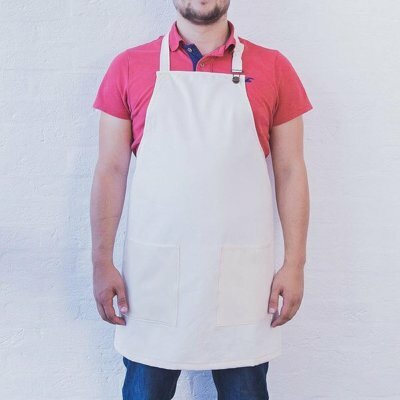 We now only supply aprons and recommend partner services. 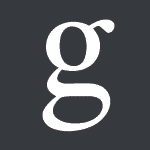 I previously ordered a logo via you? Your artwork is available at Logo Studio. You can contact them direct to reorder and make payment. If I want a logo adding, can you help? We can ship your aprons to your chosen embroiders for processing. Payment and artwork will be handled by them. Need even more customisation? 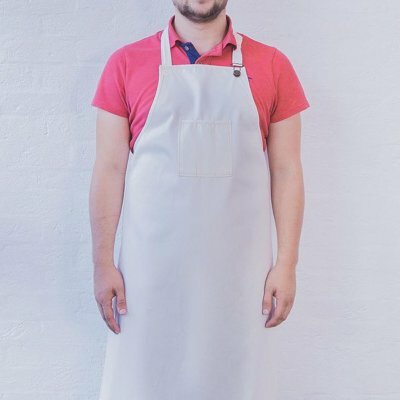 We provide a full bespoke service for orders over 250 aprons. 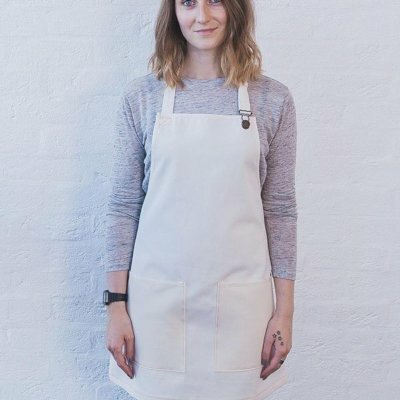 Tell us what you need and we’ll work together to make the best bespoke aprons.